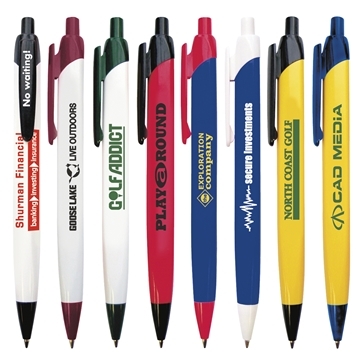 Get more BANG for your buck on this extremely popular 3-sided pen! Optional blue ink available in white/dark blue pen only. the density was perfect. Everything was so nice. the logo turned out perfectly. Quality and reasonable price The colors were precisely what we wanted. We liked the logo They collapse nicely for storage and hold a great deal of products. The item is likeable and memorable.